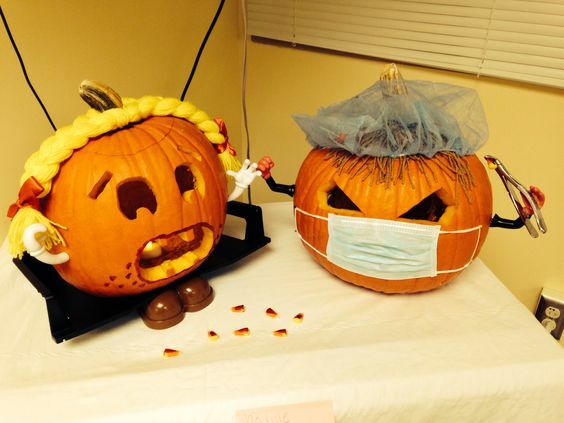 Check Out These Cool Dental Pumpkin Carving Ideas! 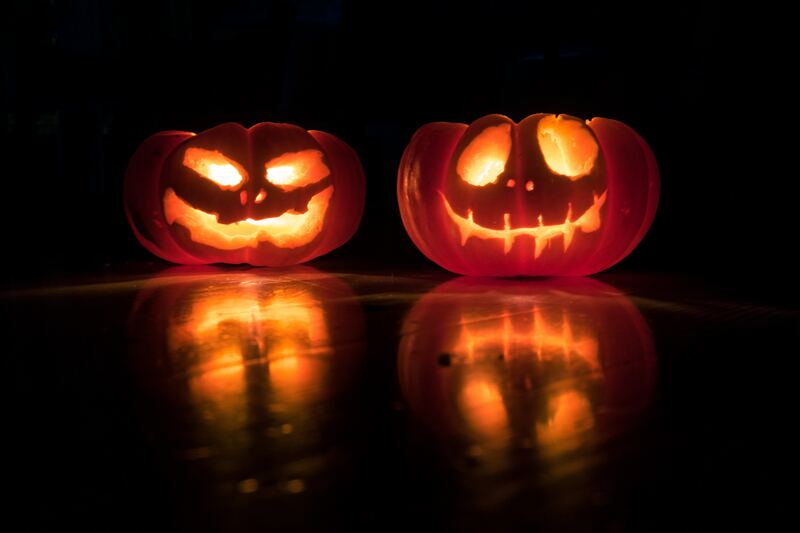 Halloween is approaching very fast and you might be in need of some new pumpkin carving ideas. 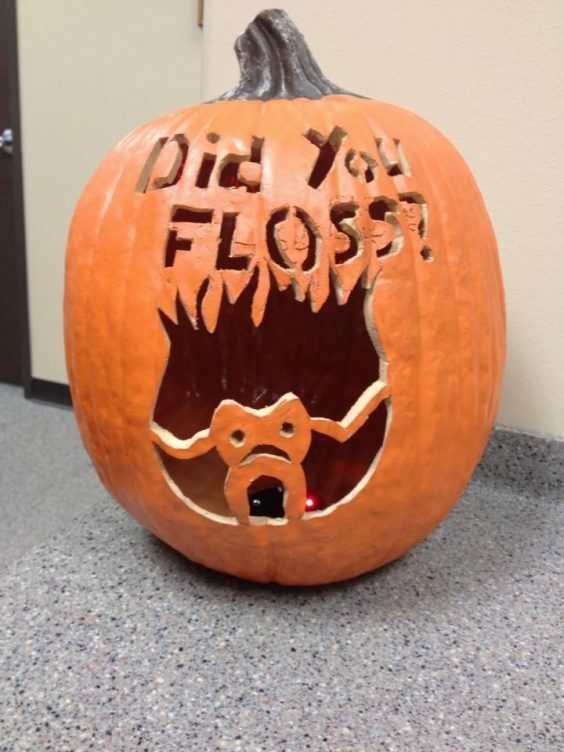 If you’re looking for something different, make sure to try out these cool dental pumpkin carving ideas! Trust us, your porch will truly stand out from the rest this time around. Pumpkin eating a pumpkin? How unexpected! This one will surely get a second glance. 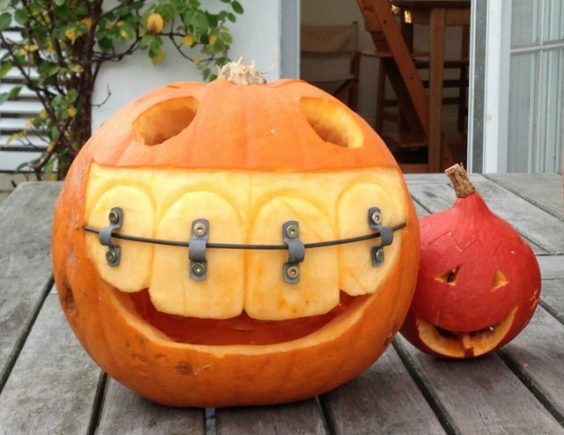 Braces are a special touch that makes all the difference. A dentist from the hell and a scared patient? This one is a bit of a cruel joke, but we have to give it some special points for the creativity. So much attention to detail. Okay, this one is absolutely adorable, don’t you think? The exaggerated braces make it so unique and eye-catching. This one will surely create some front porch envy from the neighbors. This one is very clever. 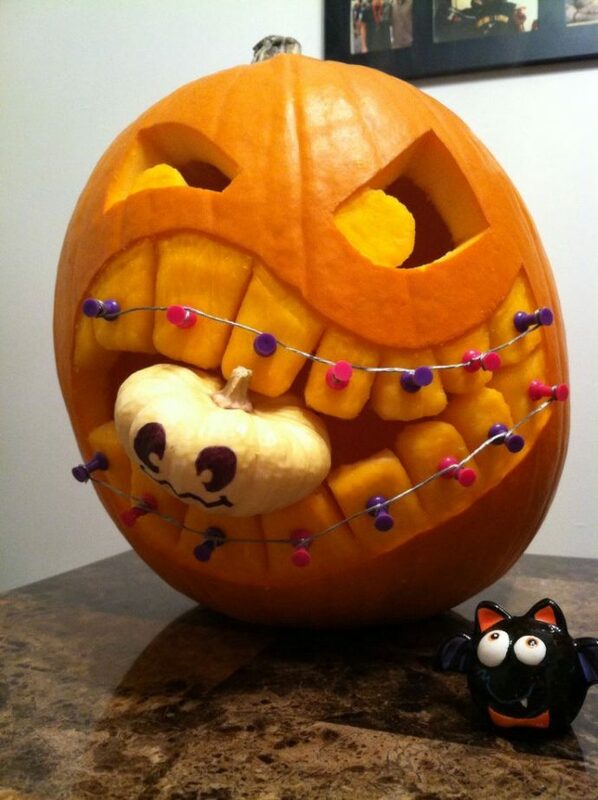 You see, it might be a holiday, but that doesn’t mean we should neglect our dental health. Especially, with so much candy around. Another one that’s less scary. Less elaborate, super cute & super easy to carve. 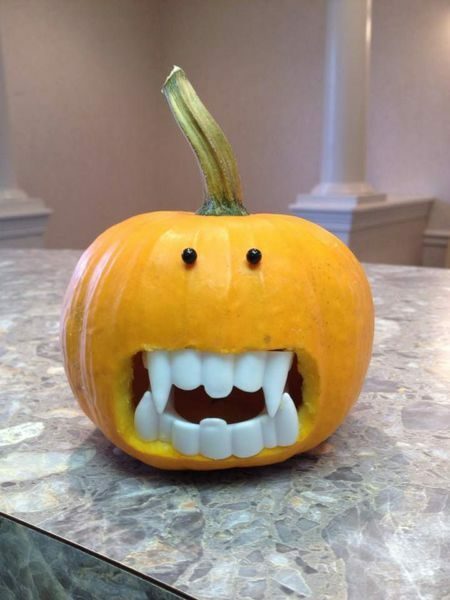 Perfect for all you beginner pumpkin carvers out there.